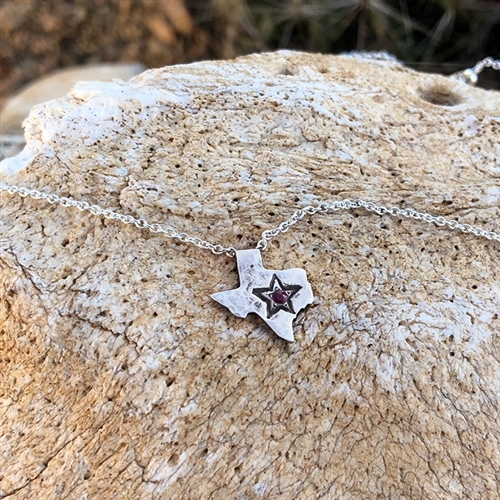 This mini hand-cut sterling silver Texas features a stamped Lone Star that is embellished with a dainty ruby. It comes on a 16" sterling silver cable chain. 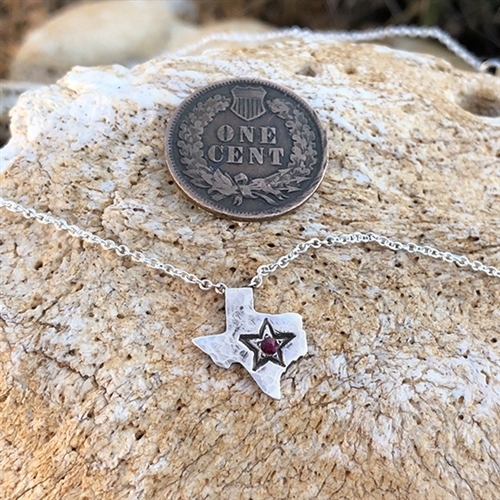 Beautiful, petite charm. I love it! It was shipped promptly in a gift box and bag.